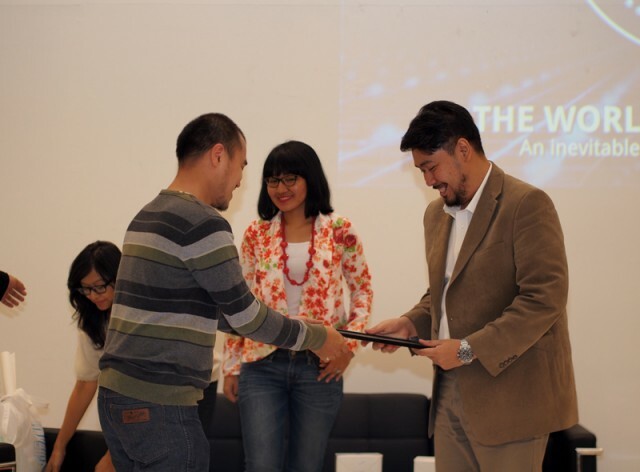 Presented by Rio Waas and Regina from Media Indonesia. They talked about the expansion and development of e-Magazine as a newmedia and becoming popular increasingly. Now is the paperless era, which is media are presented in many ways, and one of them is e-Magazine. e-Magazine is made so people can read magazine with electronic devices and it can be more practical. We can read it over and over in devices by downloading it. e-Magazine can cut down the cost of magazine production. And also became more interesting with pop-up text and or moving ads. e-Magazine now becoming a new lifestyle and people can access it very easily.